Ladbrokes are offering £20 in free bets when you place a £5 trigger bet. This is a very profitable Bet X Get Y offer as you just need to simply bet £5, and claim the £20 free! The £20 is credited as 4 x £5 in free bets which you can place on the exact same thing, and just count it as one £20 free bet when working out the calculations. Sign up to Betfair using the below link. Also, sign up to Ladbrokes and enter promo code 20FREE in the registration form. Deposit up to £5 via bank card (Paypal not eligible) to receive the Bet £5 Get £20 offer. Mug Deposit Ladbrokes offer fantastic 'existing customer' free bets shortly after completing the welcome offer. So you should deposit more than £5 as a mug deposit if you're going to be taking advantage of the full £20 free bet. Deposit around £10 initially, if you can - if not, it's not a big problem. Choose a popular league or cup on Ladbrokes. Choose a team above the 1.5 minimum odds on Ladbrokes. Preferably with odds below 2.5 to keep your liability low. The 4 x £5 free bets are added immediately once the trigger bet is placed. Treat the 4 x £5 free bets as one £20 bet. Congratulations - £15 Profit Risk Free! Easy money! 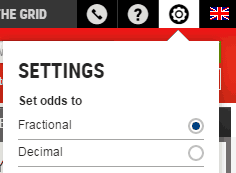 If your trigger bet or free bets won in Ladbrokes, then withdraw these winnings.